If your little princess dreams of her Prince Charming, ask her what she thinks of this collection! Our moms just love its simple, girlystyle. Add your daughter's favorite colours to create a fairytale dicor! This bookcase headboard is both trendy and functional featuring easily accessible open storage spaces, to keep bedside items close at hand. Alegria Twin Size Bookcase Headboard Alegria Twin Size Bookcase Headboard adds handy storage and complete the look of Alegria Twin Size Storage Bed #5600. Alegria Collection from Nexera is a timeless and functional collection offered in a rich Natural Maple finish with hardwood knobs. 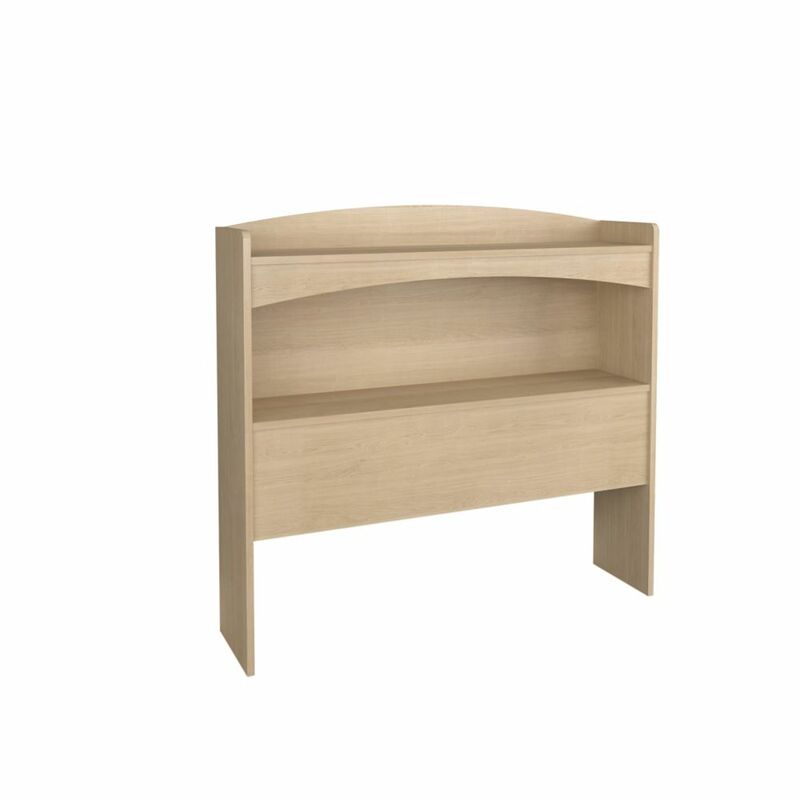 Alegria Twin Size Bookcase Headboard is rated 5.0 out of 5 by 1. Rated 5 out of 5 by Kbaker from Great headboard! I bought this last month for our daughter- she loves it. Arrived quickly, easy to put together and does what a headboard should. Doesn't get much better than that, thank you!